More and more companies these days are learning that they need to make DATA-DRIVEN decisions. With big data and data science on the rise, we have more data than we know what to do with. One of the basic languages of data analytics is SQL, which is used for many popular databases including MySQL, Postgres, Microsoft SQL Server, Oracle, and even big data solutions like Hive and Cassandra. I’m going to let you in on a little secret. Most high-level marketers and product managers at big tech companies know how to manipulate data to gain important insights. No longer do you have to wait around the entire day for some software engineer to answer your questions – now you can find the answers directly, by yourself, using SQL. Do you want to know how to optimize your sales funnel using SQL, look at the seasonal trends in your industry, and run a SQL query on Hadoop? 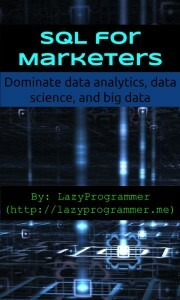 Then join me now in my new class, SQL for marketers: Dominate data analytics, data science, and big data! P.S. 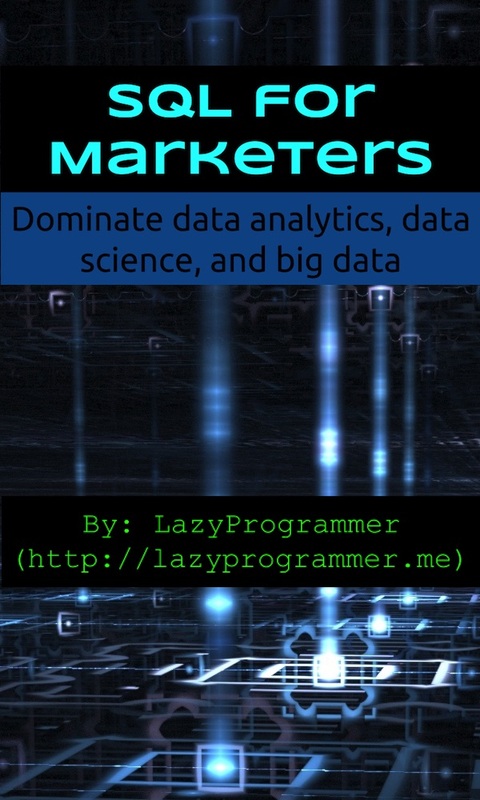 If you haven’t yet signed up for my newsletter at lazyprogrammer [dot] me, you’ll want to do so before Monday, especially if you want to learn more about deep learning, because I have a special announcement coming up that will NOT be announced on Udemy.